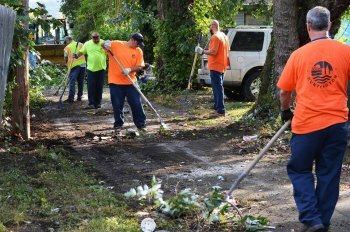 As a kickoff to a spring cleanup campaign across Huntington, the City of Huntington’s Public Works Department will conduct an alley sweep in the Highlawn neighborhood March 6, 7 and 8. The Public Works Department will typically work with City Council members and neighborhood associations to coordinate and schedule alley sweeps. The Public Works Department conducted several alley sweeps last fall and will be scheduling more this spring.